The debate rages on, but those of us who have done the research know which side is true. – Here are 290 Scientific papers on NDEs, such as: K. Ring and M. Lawrence, Further evidence for veridical perception during near-death experiences, Journal of Near-Death Studies, 11 (1993), pp. 223-229, which provide evidence and support for the theory that consciousness is separate from the brain. 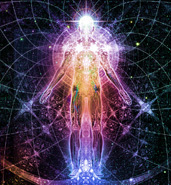 – Research by the University of Virginia School of Medicine Division of Perceptual Studies includes a compilation of 12 books on reincarnation, 39 articles and research papers, 3 books on NDEs, and 71 articles and research papers, all supporting the evidence that we are not our bodies. – Kenneth Ring is a Professor Emeritus of Psychology at the University of Connecticut. In his new book, “Mindsight: Near-Death and Out-of-Body Experiences in the Blind”, he documents 31 cases of blind people who had OBEs and NDEs who not only gained “knowledge of facts they could only have learned through a faculty like vision”, but there were also relevant eyewitnesses who corroborate their testimonies. There is much more – this barely scratches the surface. Don’t take my word for it, do your own research. If you maintain an open mind, you will find that there is a boatload of supporting evidence for a separate brain and consciousness. And pretty much no evidence to the contrary. And yet, the idea is heretical in scientific circles. Because it is not understood, it is scary to the closed-minded.